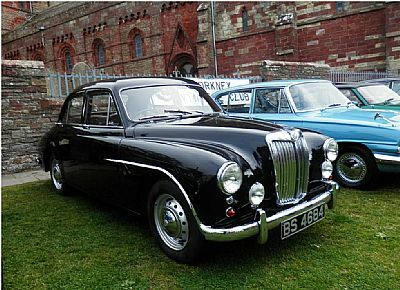 Orkney Classic Motor Show 3rd and 4th August 2019. The venue is again the Auction Mart, Kirkwall on Saturday 3rd and Sunday 4th August 2019. This event displays all kinds of stationary engines, tractors, cars, motorbikes, farm implements and there is an indoor exhibition which this year celebrates 80th anniversary of HMS Sparrowhawk. The Auction Mart is built on the site of this Royal Naval Air Station which had the distinction of being the first to have tarmac runways. In addition we intend to focus on the 80th anniversary of David Brown tractors and 60 years of the Mini. To download a Rally Entry form Click Here. A catalogue of the event is produced listing all the exhibits, which is useful for the public and the exhibitors alike. To produce this in time for the rally we ask that you email this form to orkneyvc@gmail.com or post it to arrive by 31st July 2017. Late entries are welcome but they will not necessarily be parked among the correct age group in the rally field.